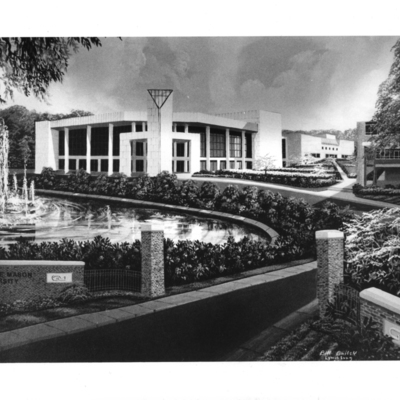 Dedication program for Clarence J. Robinson Hall; September 24, 1975. 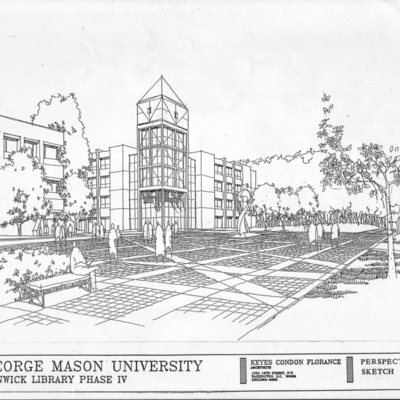 8.5" x 11", six pages, white and black printed pages with green colored front and back covers. 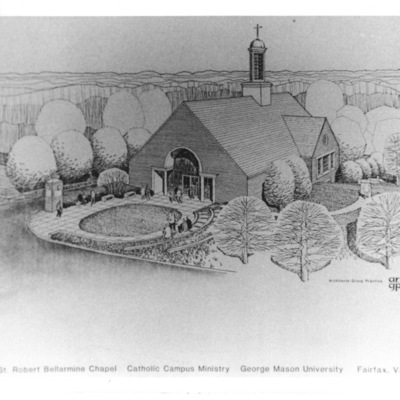 Photograph of a sketch of the St. Robert Bellarmine Chapel located on Roberts Road in Fairfax. 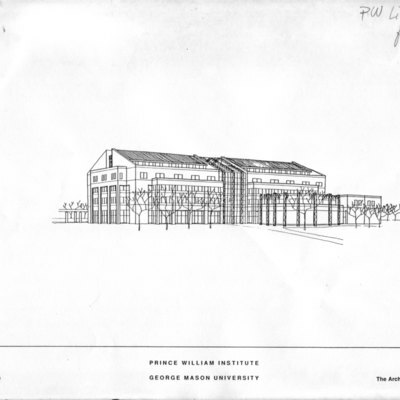 This sketch was made in 1993. Photograph is 5" x 7", black and white.